British Made & Designed by Spinlock, the Deckvest 5D Pro Sensor comes packed with features such as Sprayhood, Harness Point, Pylon Light, PLB Holder, Deck Cutter, Thigh Straps and more. Read more.. Designed for sailing or working in very adverse, wet conditions, this Spinlock Deckvest 5D life jacket personal floatation device, is recommended to everyone from experience and performance sailors to weekend adventurers. Built to last, the 5D range from Spinlock including this 170N Pro Sensor with Harness, are some of the highest quality product we offer at Pirates Cave. The fit and finishing is superb, and the look and feel is beyond most other life jackets. With a slim, low profile design that doesn't sacrifice safety and buoyancy, these are ideal jackets for experienced or off-shore sailors where maneuverability are paramount and the 170N's Pro features could end up having the greatest impact. The non-snagging straps keep the flexible life vest secure and low-profile enough that wearing it becomes a second thought, reducing it's impact on your movement and stability. The 3D modelled buoyancy pockets ensure that inflation is fast and airways are kept open even in the event of the wearer falling unconscious. It's automatic inflation system is state-of-the art, and combined with a free fitted Lume-On device which lights up the entire inflated bladder when in contact with water means you can be seen from long distances making locating you even in the dead of night that much easier. 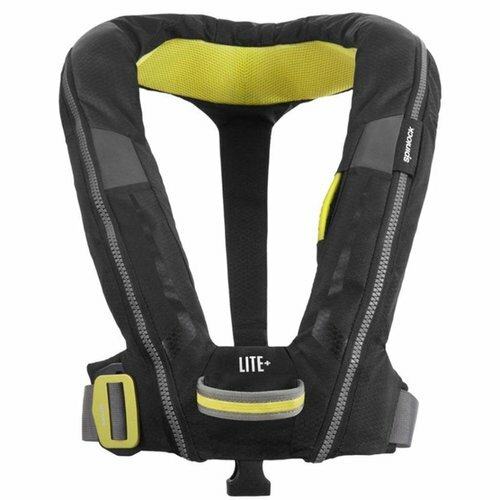 The British designed & made Spinlock Deckvest LITE+ is an ul..
British Made & Designed by Spinlock the Deckvest 5D Lifejack.. 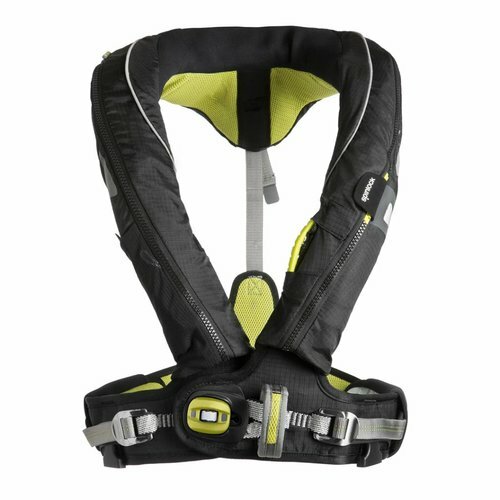 The British designed & made by Spinlock, the Deckvest LITE+ ..